This week the concert hall has been transformed for the recreation of “ The Netball Party” an annual event that took place between 1919 and 1939. By the 1930s netball was the most popular indoor sport at the club with more than 200 boys playing each week. 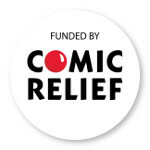 We would like to thank Salford University for helping us make the project happen and to St Josephs RC Primary and Primrose Hill Primary for taking part. 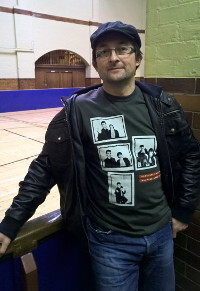 Thanks also to volunteers from Talktalk. Today marks 100 years since the end of World War One, on 11 November 1918 and we remember all the club members and volunteers who died. 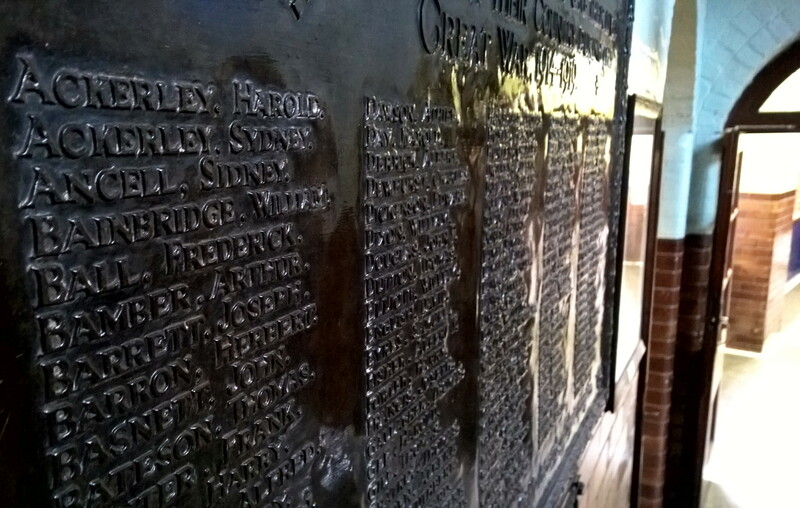 Our WW1 memorial lists the names of 138 club members killed during the conflict. The memorial was errected in 1920 . The clubs weekly newsletter from 15th November 1918 details the news to club members. We are open Saturday 9th and Sunday 10th September from 11am- 3pm for the Heritage Open Days. 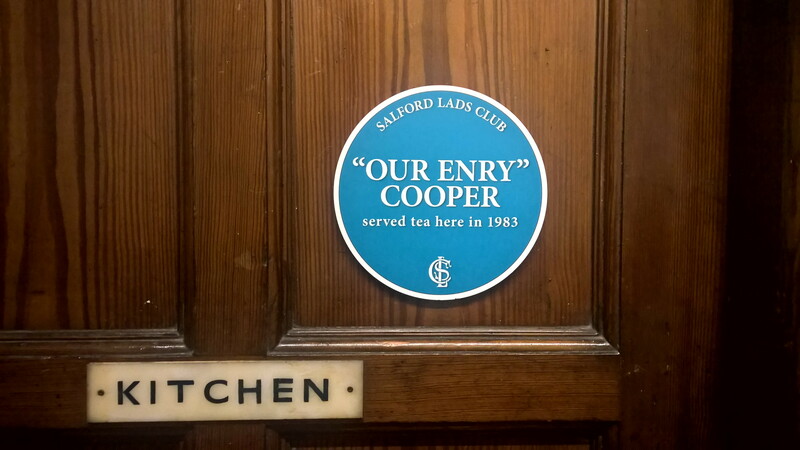 Our event features the special exhibition “Albert Finney was never a member” in the form of 21 blue plaques installed in different rooms around the building, to mark people’s visits or links with the club; like Graham Nash and Alan Clarke performing in a minstrel troupe here in 1956, Wayne Rooney and Frank Sidebottom together in the gym in 2014, or the most current one Maxine Peake in the kitchen wearing a pair of marigolds! 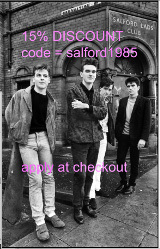 An Exhibition about the Nippers of Salford Lads Club is showing at the Peoples History Museum in Manchester every day until 17th January 2016. The exhibition title is taken from one the clubs 22,500 record cards from 1903, when lads aged 13 worked as Nippers in local industries. 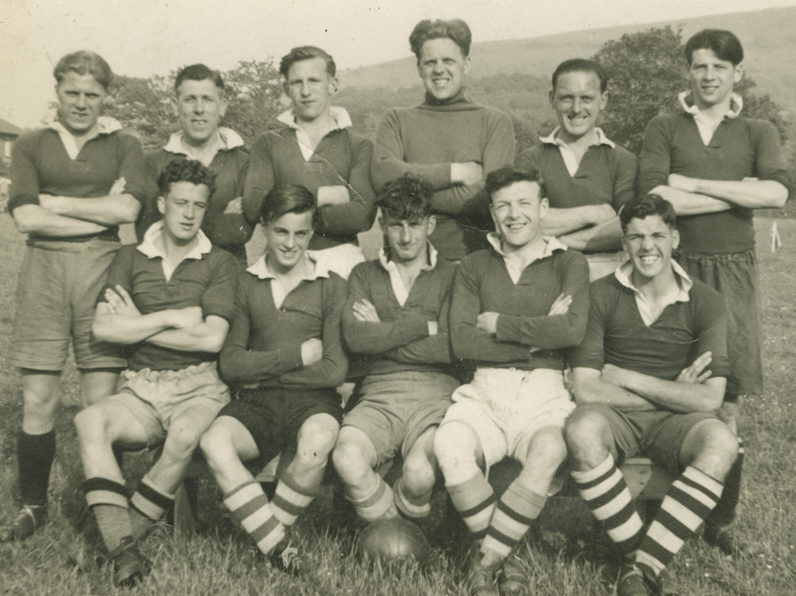 The exhibition links these records to photographs from the clubs archive, showing football, boxing and gymnastics teams along with famous club members and long serving volunteers. Our under 16 five a side football team made history today by being the first team from the club to win the National Title. They won the final of the Boys and Girls Clubs against teams from Newcastle and Durham. Along with our under 12 team they represented Greater Manchester in todays finals. In previous years our under 16 teams have made it to the North West Finals, but this year they achieved the top spot. A great achievement lads, well done. Theatre came to the club today as part of the Ideas 4 Ordsall project. A drama workshop took place in the concert hall with students from Oasis Media Academy, followed by a promenade performance of the story of the Ordsall Barracks, devised by Rosemary Swift. Box of Tricks Theatre Company brought the production to life as the audience followed the actors around the building sharing tales of life in the Barracks over the past 200 years. Senior volunteer workers at the club are remembering former member and professional footballer Albert McPherson who died this week aged 87. 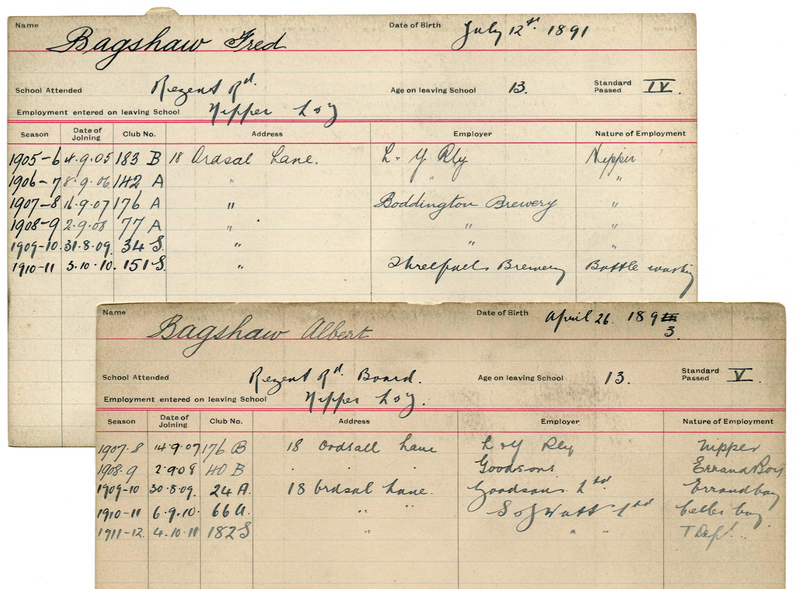 Albert lived in West Dixon Street and attended St Barts School, initially working as a block printer at local firm Worrall’s. He was a member of the club from 1942 to 1954, before signing for Walsall in 1955. He played centre half for Walsall until 1964 and was also club captain: he went on to coach and scout for West Brom. 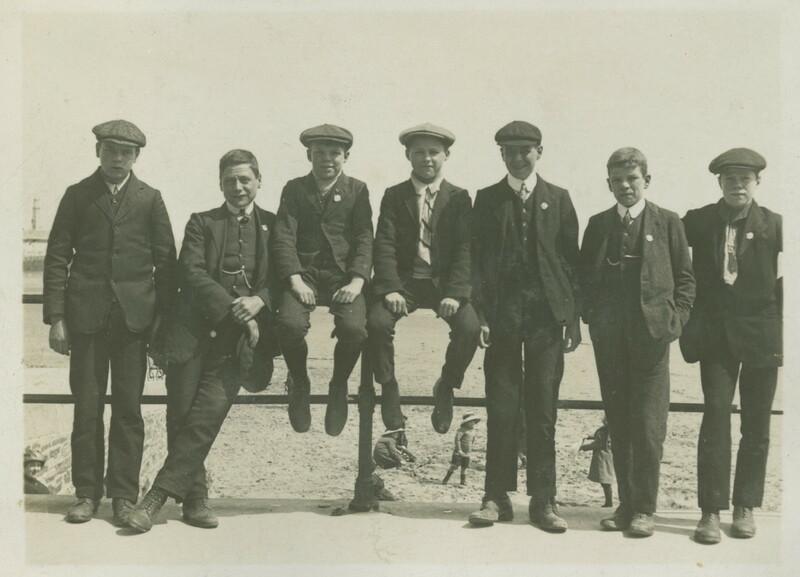 A group of Salford Lads on the promenade at Douglas, Isle of Man in 1914, three months before the outbreak of WW1. As the club set off for the annual camp on Saturday 25th May it’s a poignant reminder of the clubs history, the 1914 camp to Milntown being the last large scale expedition by the club. 800 members and ex members enlisted in WW1 and 135 were killed. Here is a film made by Leslie Holmes ………. 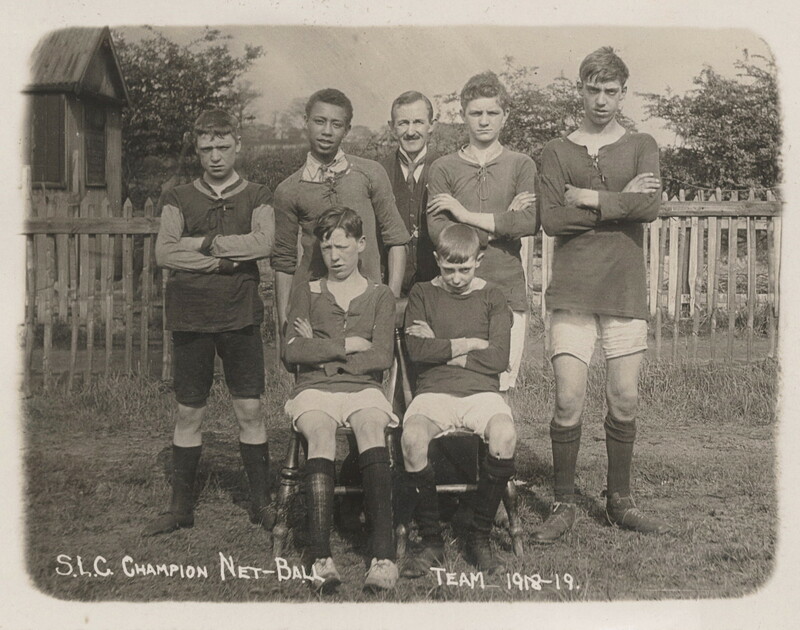 using photos from the club archive from 1914. 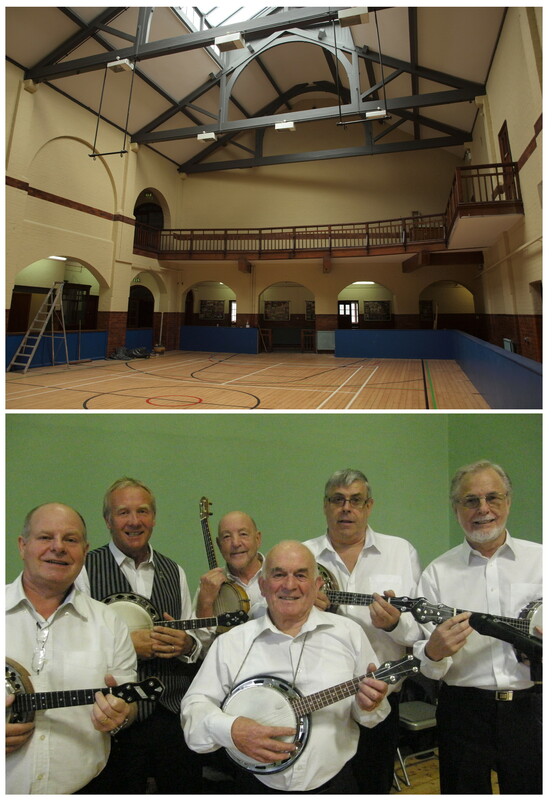 Our Heritage Weekend provided two attractions, the first chance to see the restored main gym and opportunity to hear a six piece Ukulele band live in the concert hall. The gym restoration project which was funded by the Booths Charities has given the club an amazingly light space that matches the concert hall, restored in 2009. The concert hall was also the venue to hear some wonderful banjo and ukulele playing by six members of the Grinners & Strummers ukulele band from Swinton.